In the 1970s, Escalon, California police officer Harvey Hines began his own investigation into the Zodiac crimes. A suspected “Zodiac” postcard referred to “Victim 12” and featured an advertisement for a condominium project in Lake Tahoe, Nevada. The postcard was interpreted as a clue regarding the disappearance of nurse Donna Lass in Lake Tahoe on September 6, 1970. Hines interviewed some people who knew Lass and learned about Larry Kane, a man who had apparently known or bothered Donna shortly before she disappeared. 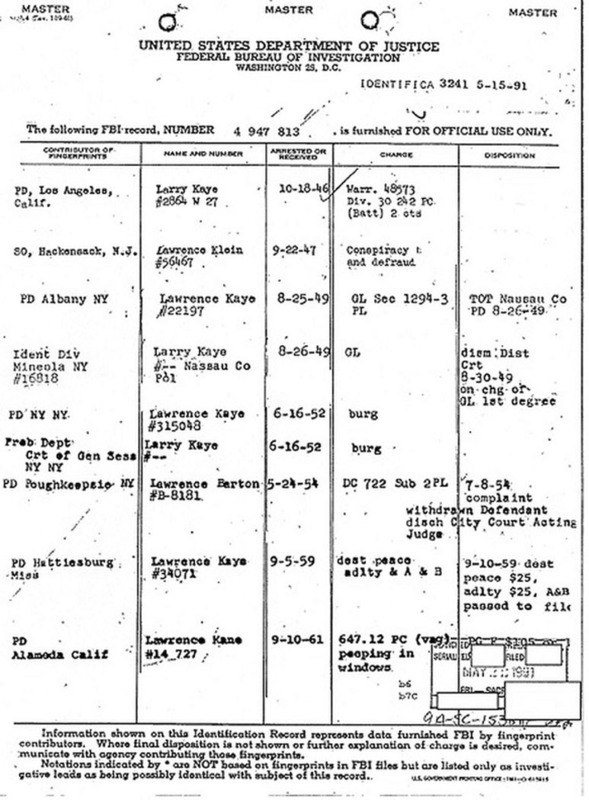 Possible Zodiac victim Kathleen Johns identified Larry Kane as the man who allegedly abducted her in March 1970. 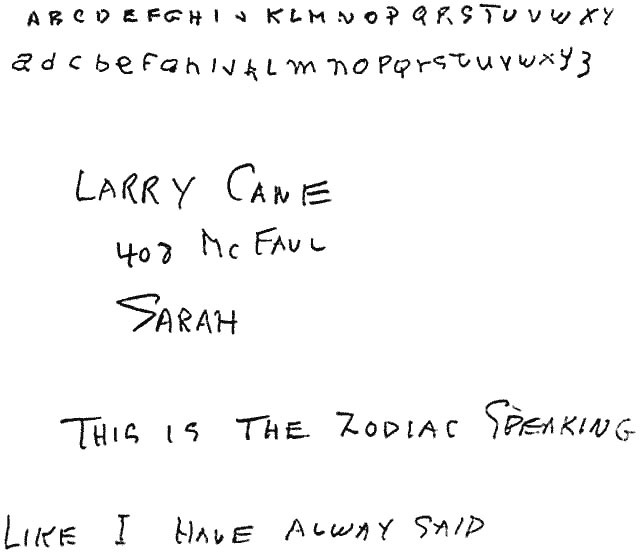 A “Zodiac” letter claimed responsibility for the Johns abduction but some investigators were skeptical and believed the killer may have taken credit for a crime he did not commit. Hines presented his findings to several law enforcement agencies. 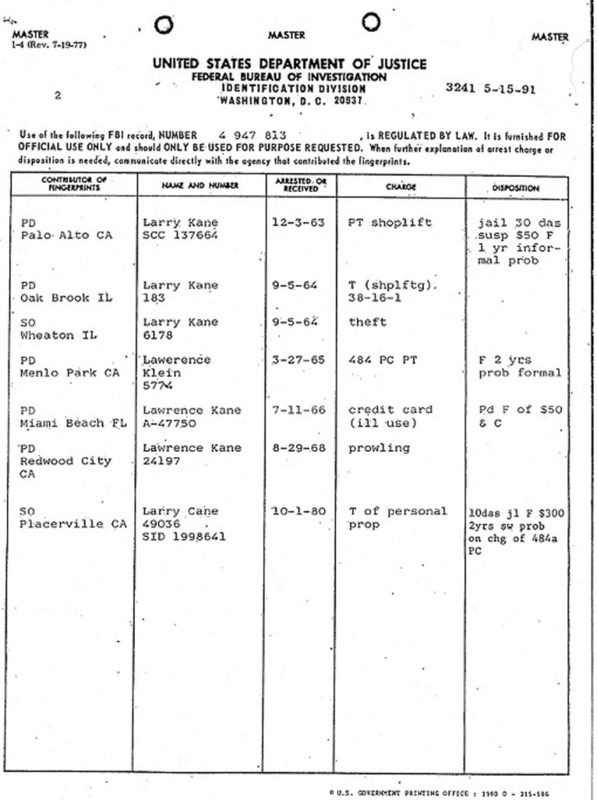 In 1991, the Vallejo police department contacted the FBI to request that the Bureau’s latent fingerprint division compare Kane’s fingerprints with suspected Zodiac fingerprints. Kane’s fingerprints did not match the suspected Zodiac prints.